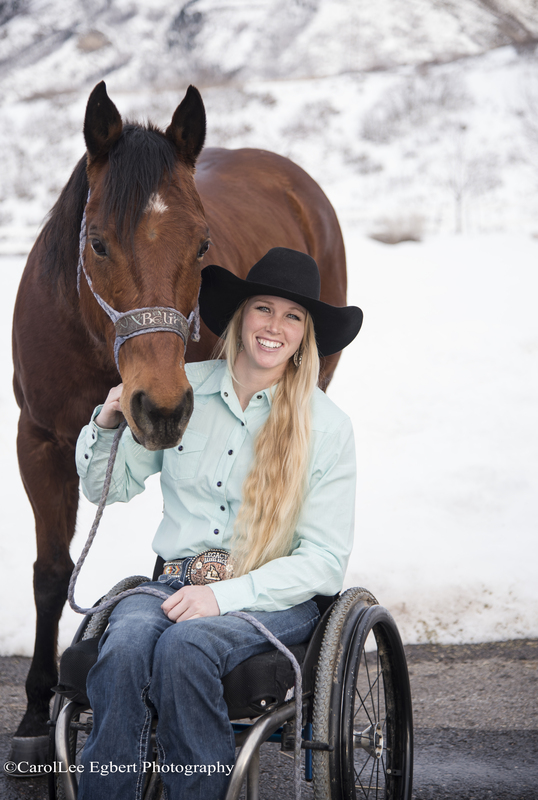 In partnership with Purina, we are please to host guest speaker, Amberley Snyder at the Spokane Fairgrounds on March 1st, at 6:30pm. This will be a free, community event. Amberley was born in California as the second of six children. Amberley fell in love with horses at a young age and began barrel racing when her family moved to Utah when she was seven years old. She competed in junior rodeos, winning multiple titles and awards. In her senior year of high school, she finished as the National Little Britches Finals and World All Around Cowgirl. Amberley also served as the Utah FFA State President in 2009. In January of 2010, she was involved in a rollover truck accident, leaving her paralyzed from the waist down. Eighteen months after her tragic accident, with a seatbelt on her saddle, she returned to competing in rodeo. She now competes in the Women’s Professional Rodeo Association in barrel racing. Through all the challenges and adversity Amberley has had to face, it hasn’t stopped her from achieving any of her goals. In May of 2015 Amberley graduated college with a Bachelor’s degree in Agriculture Education. She is now pursuing her Master’s Degree in Counseling and will continue to compete on the Utah State University rodeo team. Amberley’s hard work ethic hasn’t wavered, and one could argue has even gotten stronger. After the accident Amberley realized she had a unique opportunity to reach out and inspire people with her unconventional situation.